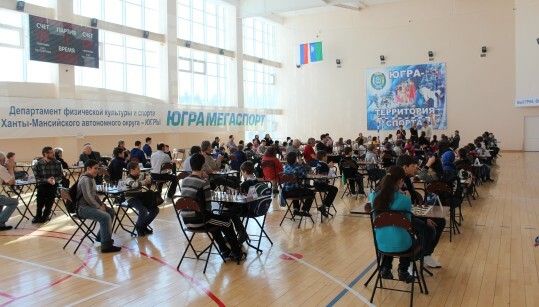 The Ugra Chess Academy has organized a blitz tournament on 29th March as one of the side events taking place during the FIDE Candidates Tournament. The 9-round Swiss with 80 participants was held at the beautiful Ugra Athletic Stadium. The total prize fund was 2000 EUR, with 200 EUR reserved for the winner. There were also special prizes for women, veterans, U18 and U12 juniors. Local blitz expert Sergey Sychev and Armenian journalist Agassi Inants have shared the first place with 7,5/9 points each. 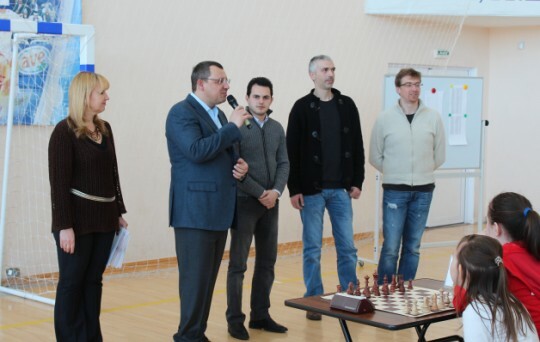 Sychev is declared winner on better tie-break. 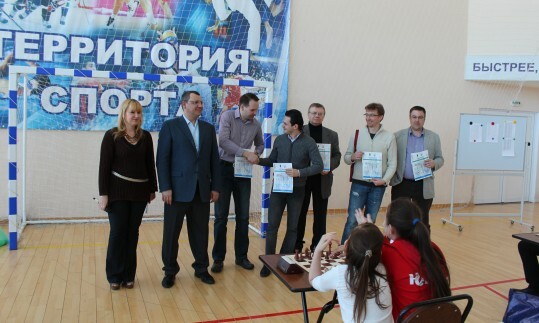 Khanty-Mansiysk Mayor Vassily Filipenko awarded the prizes.